As you may know, I will be speaking at PASS Business Analytics conference in Santa Clara this April (between 20th & 22nd). 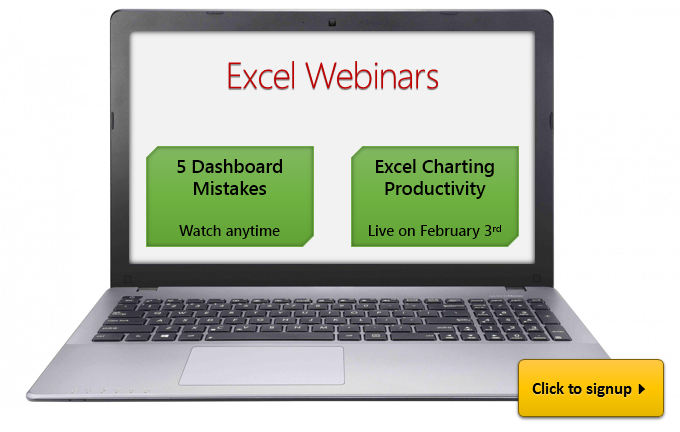 As a run up to the event, the good folks at PASS are conducting free webinars on various topics of Excel. Here are 2 topics on which I am doing webinars. 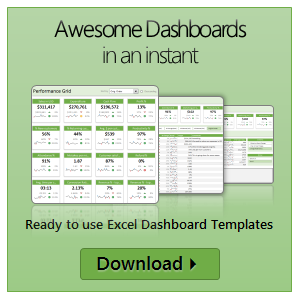 You can watch them and pick up some really cool Excel skills. Just click on below links to enjoy them. That is all for now. See you in the webinar. If you use MS Excel to do data analysis, reporting, day to day tracking or project management then this is the right course for you. If you struggle with formulas or not sure which formula to use for any given occasion, then this is the perfect course for you. 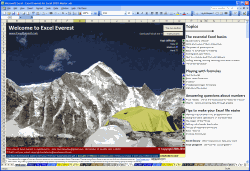 We will be introducing more than 40 different formulas with 100s of examples in this course. As we will be using realistic data & examples, you can very quickly apply the same to your day to day work and do so much more with ease & confidence. Click here to learn more & join this course. I have happy news for you. 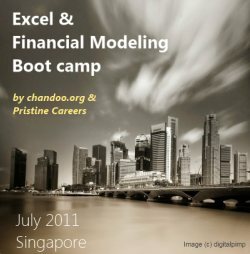 Paramdeep (from Financial Modeling School) and I am going to organize an Excel Workshop in Singapore during first (or second) week of July. We want to know if you are interested in this. So please take a few minutes and go thru this small post. More on placements, graduation etc.